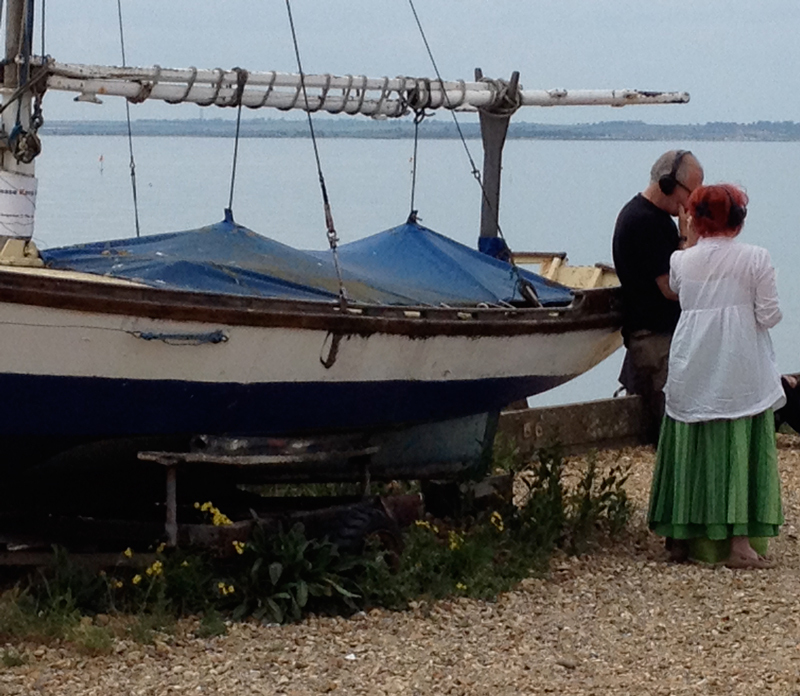 Performance opportunity at Whitstable Biennale 4th June 2016 [11am – 5pm]. If you are interested in performing please reply to me directly at marcus@marcusleadley.com with a brief proposal – outlining the form of the work, the equipment you will be using and any specific technical requirements*. Ideally the work should engage with the location or, more generally, with coastal themes. I anticipate being able to offer time slots of between 10 minutes and half an hour. I will be providing a 6-channel mixer, an RF transmitter to broadcast the work and 15 sets of wireless headphones for our audience. I’ve taken part in the last 3 biennales and there’s always a good crowd of interested spectators. The biennale attracts people from all over – and it’s a great excuse to hang out on the beach, where multiple events will be taking place. You never know, if the weather’s fine I might even break out the BBQ! In terms of practicalities, people traveling down from or via London can use the Biennale shuttle bus (usually departs from Bethnal Green), which has cost just £10 in previous years. The National Express return coach fare from London (Victoria Coach Station or New Cross) is £16.20. Whitstable also has a train station and it’s about an hour’s drive from South London. If you cannot take part and would like to contribute recordings for the Channel 2 recorded programme, please get in touch via email. For convenience on the day contributions will be burnt to master CDs so 44.1/16 AIFF or WAV files please, up to 10 minutes (approx.) in duration. (*note: the system is powered by a 12V battery/inverter set up so it’s fine for laptops, interfaces, and other equipment running on 9 – 18V supply only. If you require special cabling/connectors you will need to provide these yourself). This entry was posted in ambient, associate artist, audio, David Rogers, installation, links, Mandy Rathbone, Marcus Leadley, partnerships, soundscape. Bookmark the permalink.